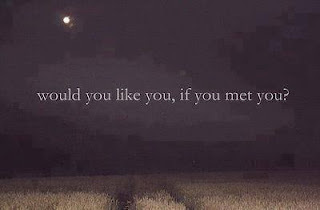 WALKSTRONG ~ www.walkstrong.ca: " Like You ... "
You see we all want positive influences in our lives. We search and search in hopes to forage friendships that inspire us ... yet often we forget to ask ourselves if we are positive influences. So back to the questions, can you honestly say you are happy with the answers? Just think about the times you are just plain not fun to be around ... you are in a rush, stressed, or impatient. Because who wants to be around someone who isn’t enjoying the moment. At our very core we have certain attributes and characteristics that make us who we are ... so this isn’t about changing ourselves, it is about being true to ourselves. Your authenticity will inspire others to be comfortable with who they are. present ~ here = now ... enjoy this very moment, which is all we truly have. interested and interesting ... believe that where ever they are and whatever they are doing, something interesting is going on. 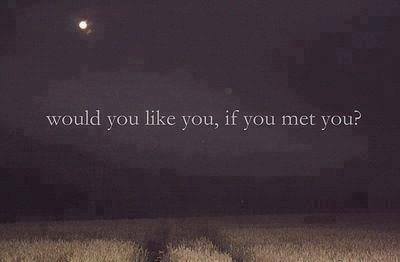 So would you like you if you met you? Assessing ways to become more enjoyable breeds more joy in our lives. We attract the same type of people and events while staying true to ourselves ... supporting you being the kind of person you’d like if you met you.